Complex & 3D Machining of Exotic Hard Materials |Precision Machining of Ceramics, Quartz, Tungsten & Molybdenum | Top Seiko Co,. Ltd.
With that motto, Top Seiko has specialized in ultra-hard materials such as advanced ceramics, glasses, refractory metals, and newly developed high performance materials like composite materials. 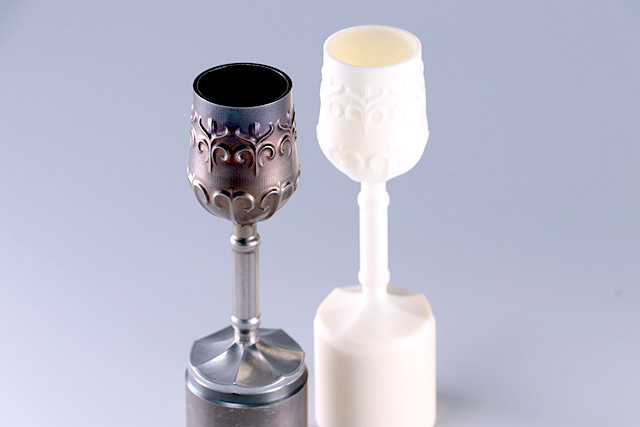 ・CNC Machining to form a variety of shapes and features such as slots, grooves, trenches, steps/raised shapes, counter bores, threads, straight/tapered holes, etc. 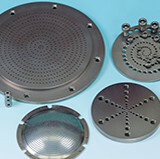 3D machining of ultra-hard materials requires both capabilities of machining hard-to-machine materials and 3D machining. 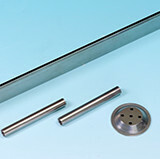 To begin with, machining hard materials causes rapid tool wear. 3D machining usually requires long machining time, causing further damage to the tools. Tool wear directly affects the dimensional accuracy of the machined part. It is also important to estimate thermal displacement of a machining center which occurs due to long machining time and make necessary adjustment. Appropriate tools, machining methods, and machining conditions are the keys to successful 3D machining of hard materials. 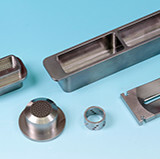 Top Seiko offers 3D machining service for ultra-hard materials with following tools & equipment. CAD/CAM softwares: hyperMILL® and Space-E.
Machining centers: high precision 5-axis control vertical machining centers (Makino / DMG Mori), and high speed linear-motor machining center (Makino / Sodick). Measuring equipment: Coordinate Measuring Machines (Mitutoyo) and CNC High Precision Image Measuring Machine. 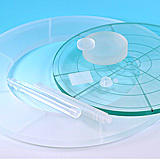 We have produced 3D parts & components including: molds for contact lens production in Tempax glass (borosilicate glass), jet engine parts in CMC (Ceramic Matrix Composites), components for ion implantation in molybdenum and tungsten, and many more. 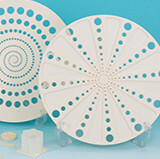 There have been more needs for 3D machining service for ultra-hard materials than ever before. Contact us now for your 3D machining needs!